Engine and Transmission Repairs: The condition of your car’s engine and transmission can make or break it in terms of its overall work capacity. To keep your vehicle running at its best, be sure to bring it in for routine maintenance checks. 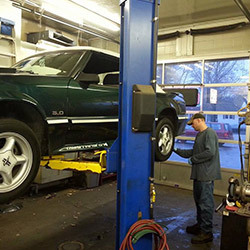 For simple and more intricate engine and transmission repair in Champaign IL, we’re here to help. Here at TMS Auto Care, we don’t cut corners. We use only the best tools and parts from trusted brands to ensure the best possible results at our auto shop in Champaign. Auto Brake Repair and Tires: While your car’s engine and transmission are key factors when it comes to the overall health of the vehicle, brakes and tires are not to be ignored. At TMS Auto Care, we offer expert advice and high-quality tire and brake services so that your car or truck can operate at its full potential. Whether your old car needs new brakes or you’d like to have your brake fluid checked, we can do it all. Whatever your car troubles may be, we’re here to relieve you of your burdens and get your vehicle back to working condition. 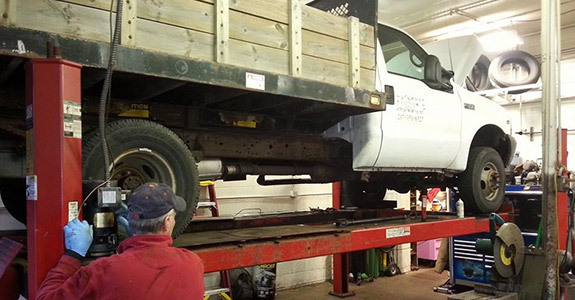 Our auto shop will make sure that your car or truck is running at its full capacity and safe for the roads. Don’t stress over your car or truck maintenance and repair needs. Call us today at 217-398-4070 to see how we can help get you back behind the wheel with confidence.